Amy Schneider, a Cleveland native, never planned on becoming career yoga teacher. "Yoga was a hobby when I was a teenager and I attended my first, week-long teacher training for fun with no intention of actually teaching yoga classes." Nevertheless, in 2007, when Amy graduated from the University of Michigan with her degree in Psychology, moved to Chicago and was looking for a job, she began to teach yoga part-time. The more she taught, the more she loved it. As her classes grew she quickly realized that there was something special happening in the process. She returned to her hometown in 2008 and began teaching at Cleveland Yoga, where she made yoga a career and the CY community her extended family. 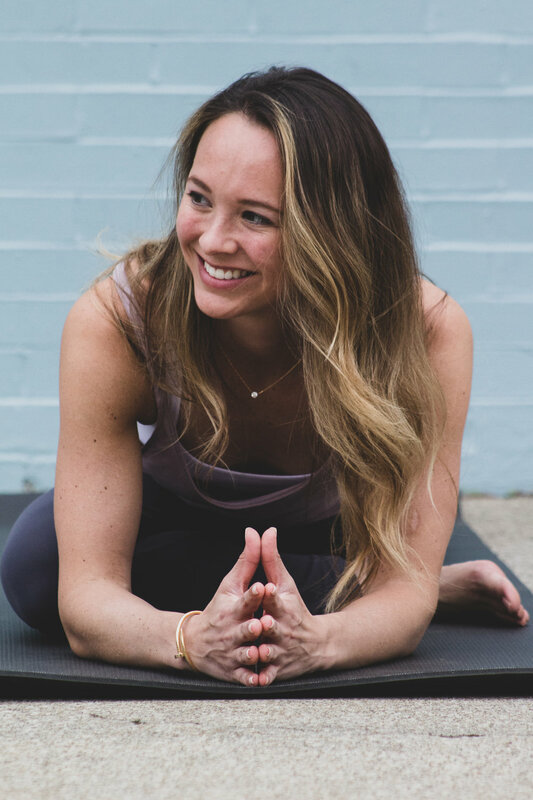 Since 2008, Amy has attended multiple training programs from yoga teachers all over the country, giving her an extensive knowledge of the practice and a unique teaching style that blends all of her influencers. She was voted the "best yoga teacher in Cleveland" by Cleveland Scene Magazine in 2016. That same year, Amy's impact became global when she traveled to London to make yoga DVDs with New Shoot Pictures, which are now sold and streamed world-wide. When Amy is not practicing or teaching yoga, you can find her spending time with her husband, Zak, and daughter, Elin, in Chagrin Falls, OH.